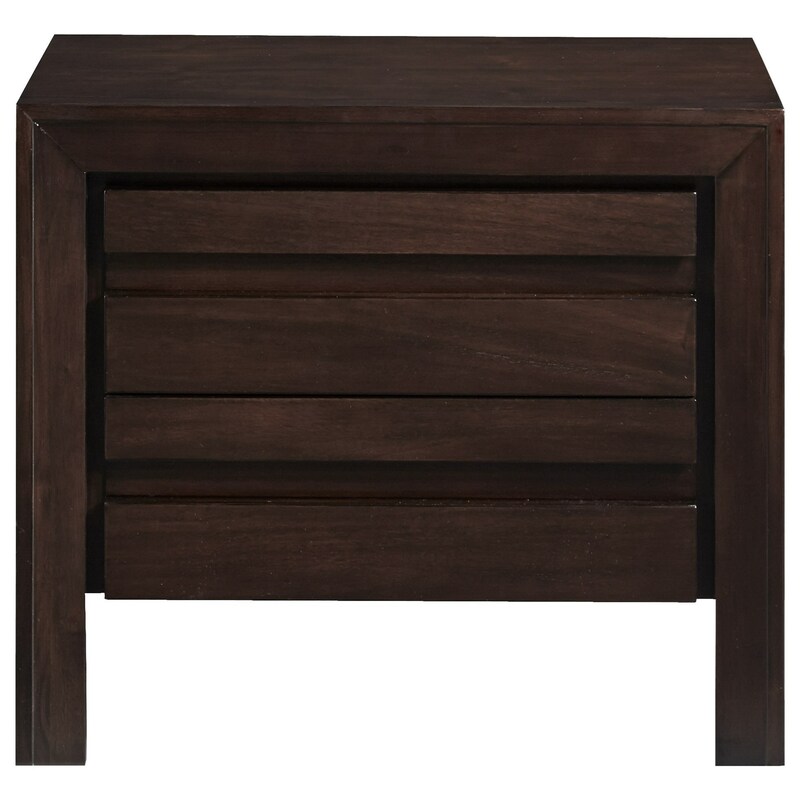 This sleek contemporary nightstand features bold, clean lines that will make a stunning decorative accent alongside many different styles of decor. The understated shape and striking straight lines create a chic contemporary look, completed by thick block legs and clean, carved drawer pulls. Leaving out clunky hardware in the design of this piece creates a minimalist look that's visually pleasing. Created to cater to the modern wired lifestyle, this stylish nightstand comes equipped with a handy charging station built into the top drawer, allowing you to easily charge your cell phone or tablet overnight where it will be close at hand first thing in the morning. The Element Contemporary Two Drawer Nightstand with Charging Station by Modus International at Michael's Furniture Warehouse in the San Fernando & Los Angeles area. Product availability may vary. Contact us for the most current availability on this product.